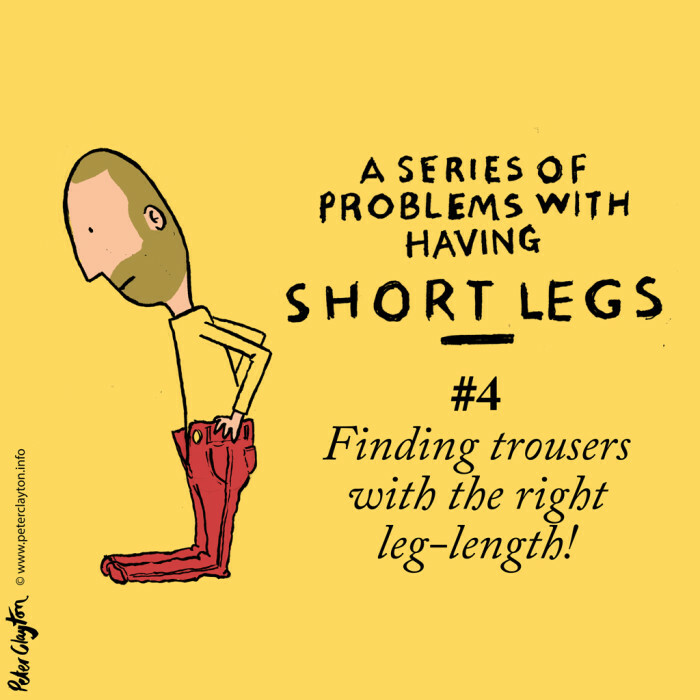 In light of the oh-so-funny comments people come out with about my short legs I decided to draw a series of 6 cartoons which make fun of my apparently hilarious condition! 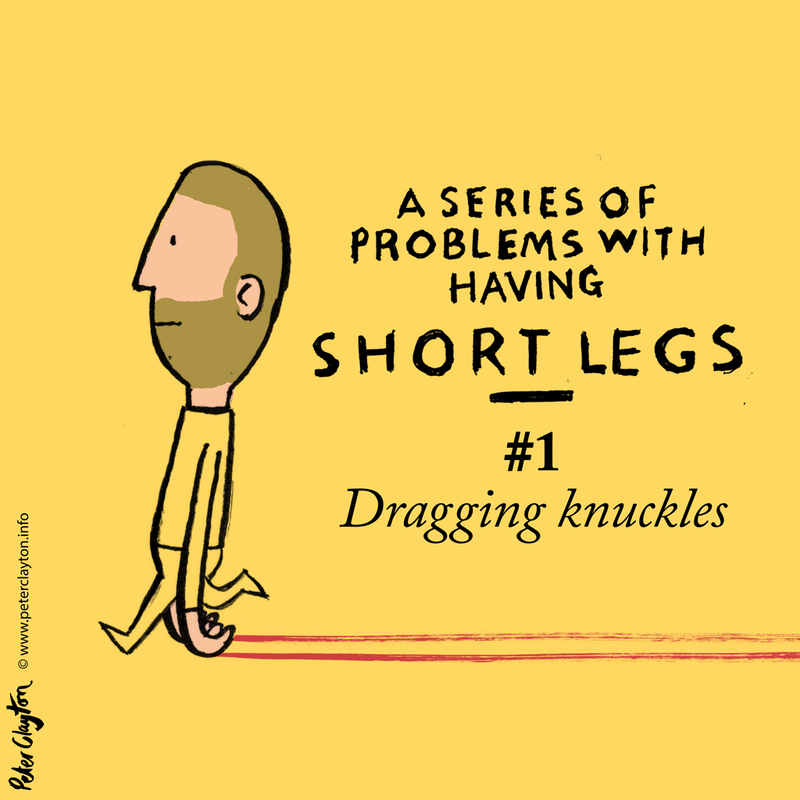 This series is part of a bigger project where I’m posting a drawing a day. You can see more here at www.peterclayton.info and on Facebook.